ORLANDO, Fla. (April 11, 2019) – According to a recent AAA Travel survey, two-thirds of leisure travelers (64 percent) plan to take vacations this summer. Many of those vacationers will head to historical European cities or soak up the sun in Orlando’s theme parks and attractions, according to an analysis of AAA’s travel booking data. 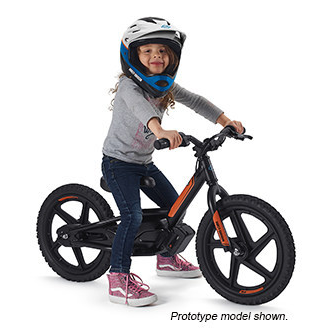 MILWAUKEE, March 5, 2019 -- Harley-Davidson, Inc. (NYSE: HOG) announces today that it has acquired StaCyc, Inc., producer of the 12 and 16 EDRIVE, electric-powered two-wheelers specifically designed for kids. StaCyc, which entered the market in 2016, currently designs, markets and sells their EDRIVE models for kids, with an MSRP range of $649 to $699. StaCyc EDRIVES are sold in the U.S. through powersports dealerships, including 29 Harley-Davidson® dealerships, online and in specialty bicycle retailers. "We're thrilled to have StaCyc become part of the Harley-Davidson family," said Harley-DavidsonSenior Vice President of Marketing and Brand Heather Malenshek. "The StaCyc team shares the same vision we have for building the next generation of riders globally and we believe that together, we will have a significant impact in bringing the fun and enjoyment of riding to kids everywhere." The acquisition of StaCyc expands Harley-Davidson's electric portfolio and reinforces its commitment to lead in the electrification of motorcycling. Harley-Davidson previously announced plans to launch LiveWire™, a premium, high-performance electric motorcycle in fall 2019 and future lightweight and middleweight electric motorcycles at various price points starting in 2021. The StaCyc electric two-wheelers will provide an entry point for the youngest riders to enjoy the thrill of riding. As a subsidiary, a Harley-Davidson branded version of StaCyc's 12-inch and 16-inch models will be sold through select Harley-Davidson dealers. The branded products will be available in the U.S. in the third quarter of 2019. StaCyc branded EDRIVES will continue to be sold through StaCyc's existing distribution network. ORLANDO, Fla. (March 21, 2019) – From coast to coast, families are gearing up for another year of exciting travel adventures with their loved ones. According to a recent AAA Travel survey, nearly 100 million Americans – 4 in 10 U.S. adults – are planning to take a family vacation in 2019, slightly more than last year. Spring and summer road trips will top many of these families’ vacation plans. 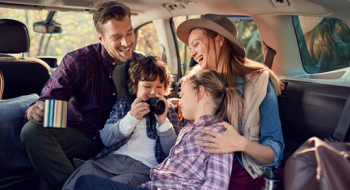 Two-thirds of all family travelers (68 percent) will embark on a summer getaway, while just under half (45 percent) are making plans to travel as a family this spring. 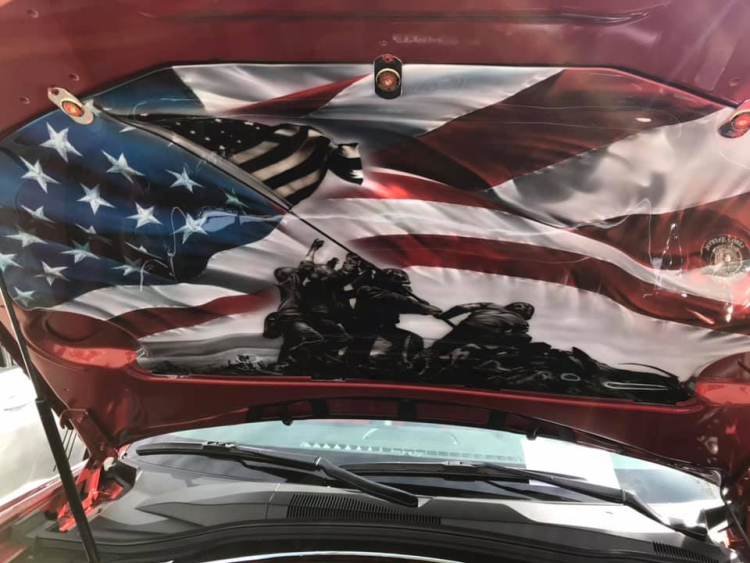 Regardless of the season, the great American road trip remains a major draw for these families; about half of traveling families (53 percent) expect to pack up their cars for a road trip this year. Travelers in the South are more likely to be making plans for a family trip this year (62 percent) than travelers in the Northeast (35 percent). A welcome gift to road trippers, gas prices have averaged nearly a quarter cheaper so far in 2019 compared with the first few months of last year. While gas prices are increasing now, summer prices are expected to be cheaper than last year. Another recent AAA survey found that 33 percent of Americans would go on at least one additional summer road trip if gas prices remain low. Las Vegas to National Parks – Any road trip through the desert southwest is full of unique twists and turns, regardless of whether you remain on the interstate or head off along enticing back roads. Long the destination for gold prospectors and other dreamers, the mountains and valleys of the Arizona, Nevada and Utah deserts today provide a glimpse of mankind’s historical interaction with the area’s fantastic natural landscapes. 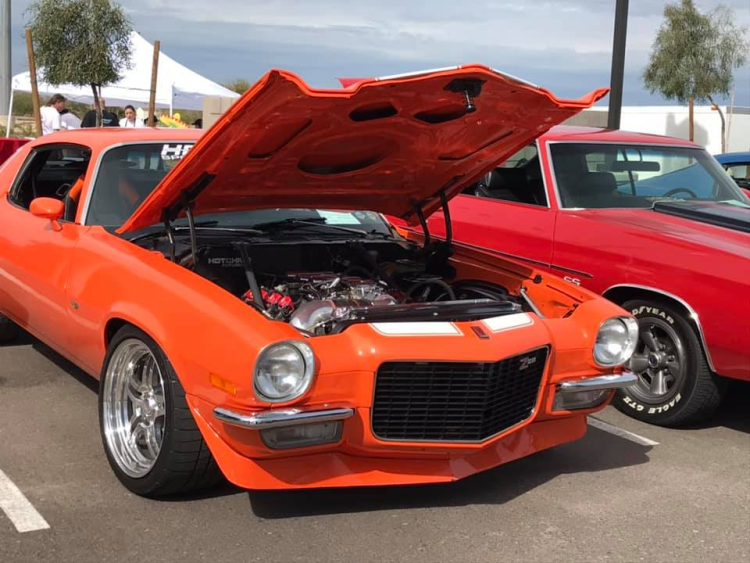 WASHINGTON (March 28, 2019) – Spring fever may be in the air, but American motorists already have summer road trips top of mind. 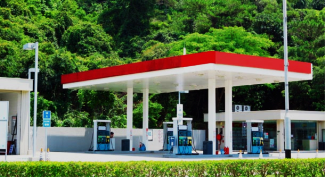 AAA’s latest Gas Price survey found that if gas prices remain low, 1 in 3 Americans (33 percent) would likely plan another summer road trip while 27 percent would increase the distance of one – with Generation X more likely to do both than Baby Boomers. AAA expects the national gas price average this spring to reach $2.75, a savings of nearly 20-cents compared to last spring’s high of $2.92. However, motorists on the West Coast and in the Rockies region will likely see prices reach or exceeded $3/gal, which is similar to last year. The majority of Millennials (53%) and Gen X (49%) would put aside money for savings as compared to Baby Boomers (44%). Generation X is more likely to increase shopping/dining out, drive more on a weekly basis or use more expensive gas as compared to compared to Baby Boomers. Motorists in the South (11%) and West (10%) say they would use more expensive gas while five percent of those in the Mid-West (5%) and seven percent in the Northeast (7%) would be willing to upgrade fuel type. ORLANDO, Fla. (Mar. 14, 2019) – A year after a number of high-profile automated vehicle incidents, American attitudes toward fully self-driving cars have not rebounded. AAA’s annual automated vehicle survey found that 71 percent of people are afraid to ride in fully self-driving vehicles – indicating that overall sentiment has not yet returned to what it was prior to these incidents occurring (63 percent). 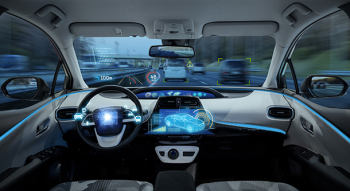 AAA believes the key to helping consumers feel more comfortable with fully self-driving vehicles will be bridging the gap between the perception of automated vehicle technology and the reality of how it actually works in today’s cars. Experience seems to play a key role in impacting how drivers feel about automated vehicle technology. 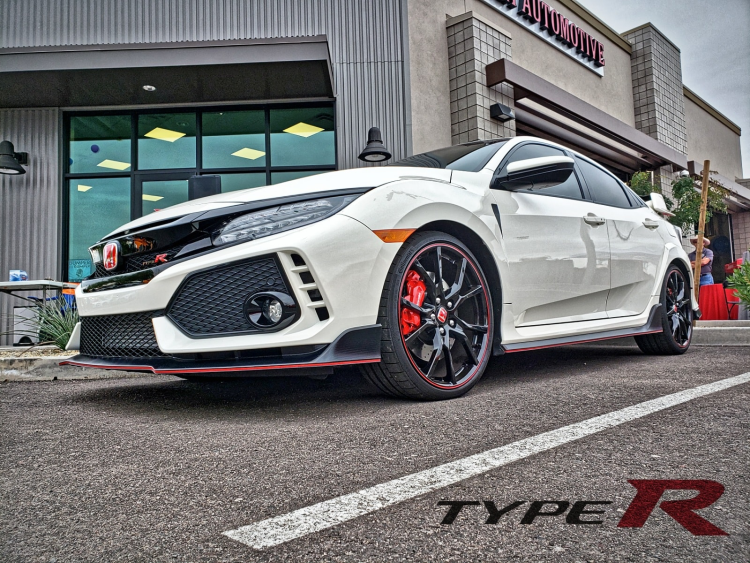 Many cars on the road today are equipped with advanced driver assistance systems (ADAS), which are considered the building blocks for fully self-driving vehicles. AAA’s recent survey revealed that regular interaction with ADAS components like lane keeping assistance, adaptive cruise control, automatic emergency braking and self-parking significantly improves consumer comfort level. On average, drivers who have one of these four ADAS technologies are about 68 percent more likely to trust these features than drivers who don’t have them. Even more promising, AAA found that Americans are receptive to the idea of automated vehicle technology in more limited applications. About half (53 percent) are comfortable with low-speed, short distance forms of transportation like people movers found at airports or theme parks while 44 percent are comfortable with fully self-driving vehicles for delivery of food or packages. However, once the passengers become more personal – in particular, transporting their loved ones – one in five remain comfortable. 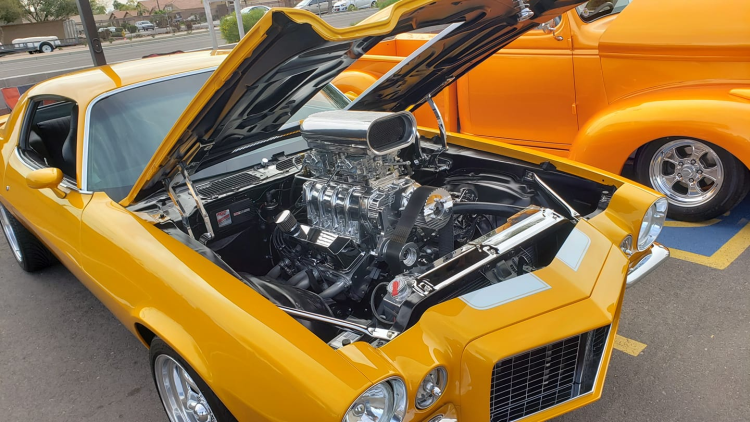 SANTA MONICA, Calif., March 20, 2019 -- Used vehicle sales in 2019 are poised to hit the highest level since the recession, according to a new report from the car shopping experts at Edmunds. 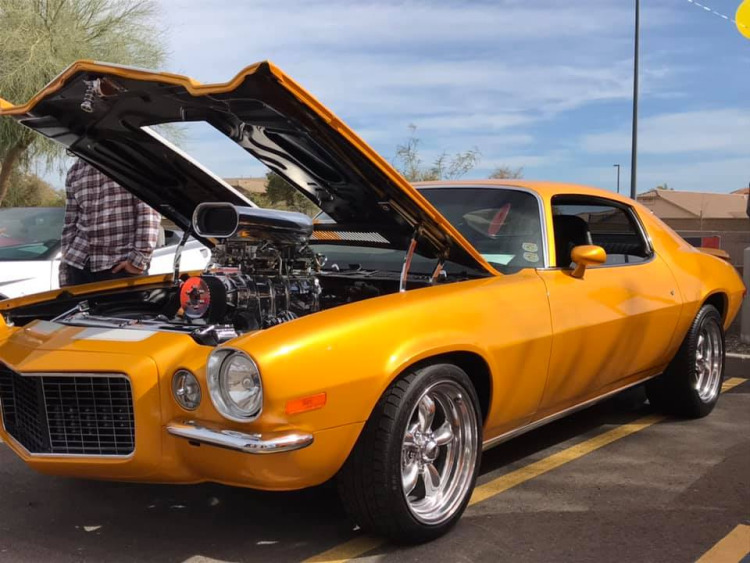 In 2018, 40.2 million used vehicles were sold in the U.S.; in 2019, Edmunds analysts predict used vehicle sales could approach 41 million. 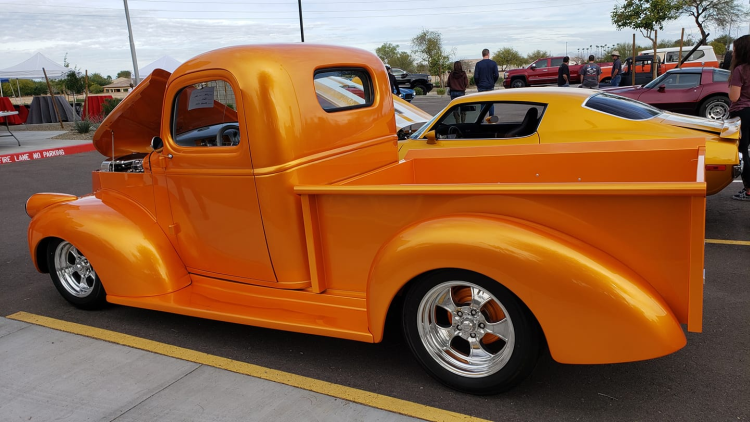 Edmunds experts say rising vehicle prices and high interest rates are pushing buyers out of the new market, and a record number of lease returns this year will give shoppers more options than ever in the used market. 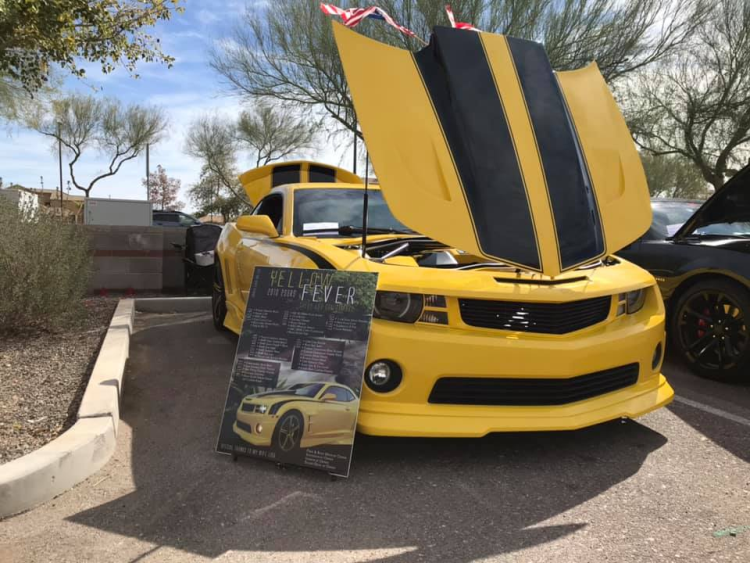 "Typically sales of new and used vehicles follow the same pattern — if sales of new vehicles rise or fall, so do sales of used vehicles, and vice versa," said Ivan Drury, Edmunds' senior manager of industry analysis. "But now we're seeing new vehicle sales fall while used rise, indicating the market has reached a flash point. 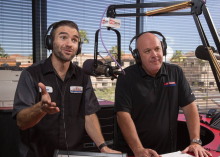 New cars are getting so expensive that they're out of reach for many car shoppers, but there are so many more affordable used vehicles coming off lease that the market is naturally shifting in that direction." 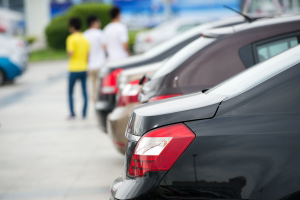 Edmunds data shows that in 2013, the price gap between new and 3-year-old used vehicles was 56 percent, amounting to more than $11,000 in savings on average. In 2018, that number grew to 62 percent, totaling nearly $14,000 in savings on average. 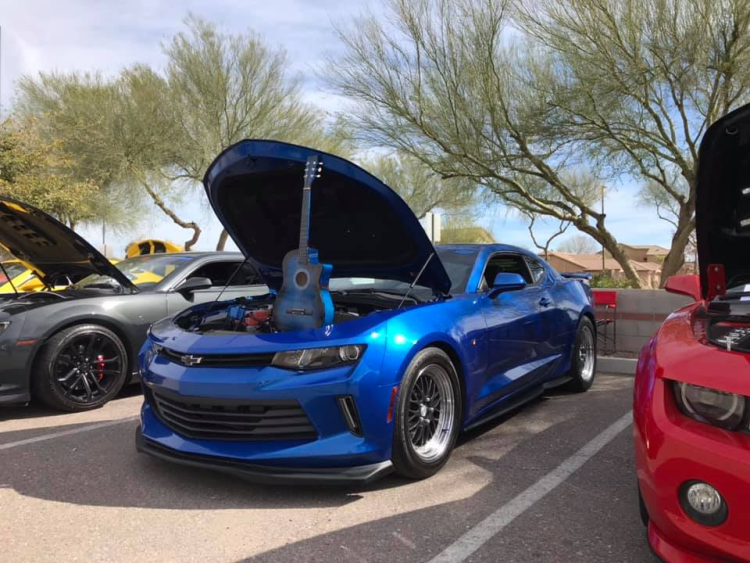 Edmunds data also reveals that new car interest rates jumped by 17 percent in 2018, whereas rates for used vehicles have risen at a slower clip, with interest rates increasing by 9 percent in the same period. 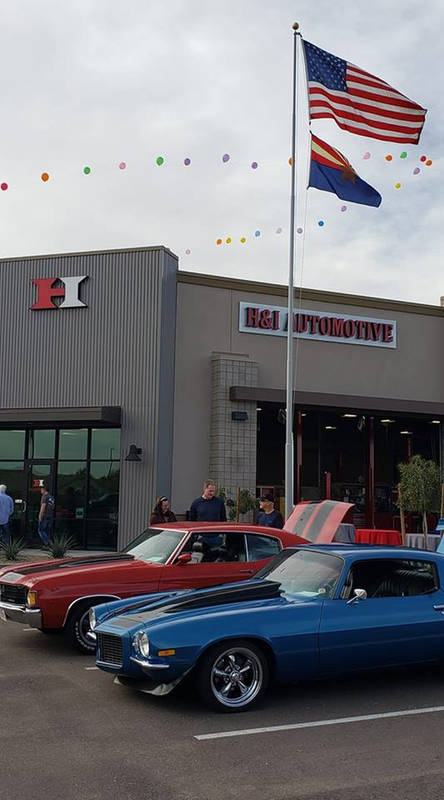 H&I Automotive in Gilbert recently hosted 'Cars 2 Show We Care'. 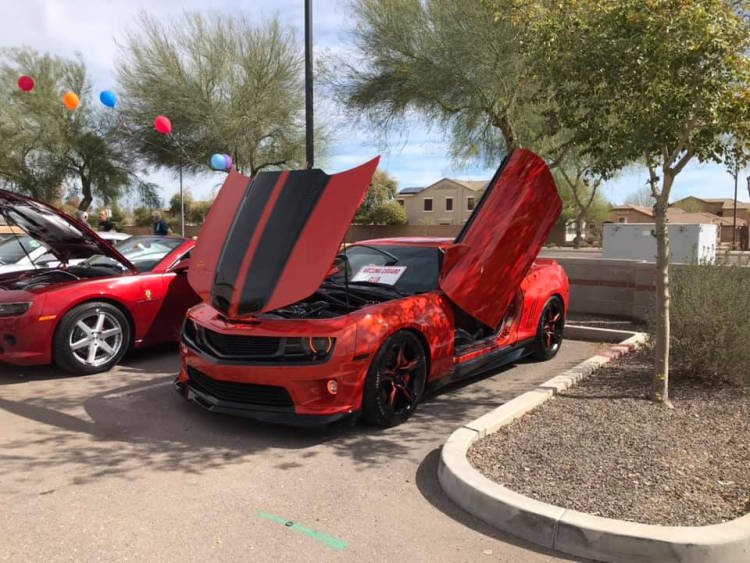 There were vendors, a 50/50 raffle, prize raffles, demonstrations, bounce house for the kiddos, - and of course the cars! All proceeds went to support Military Assistance Mission. It was quite a momentous occasion! At the Geneva Motor Show, Bugatti unveiled its latest creation: a one-of-a-kind hypercar called La Voiture Noire. 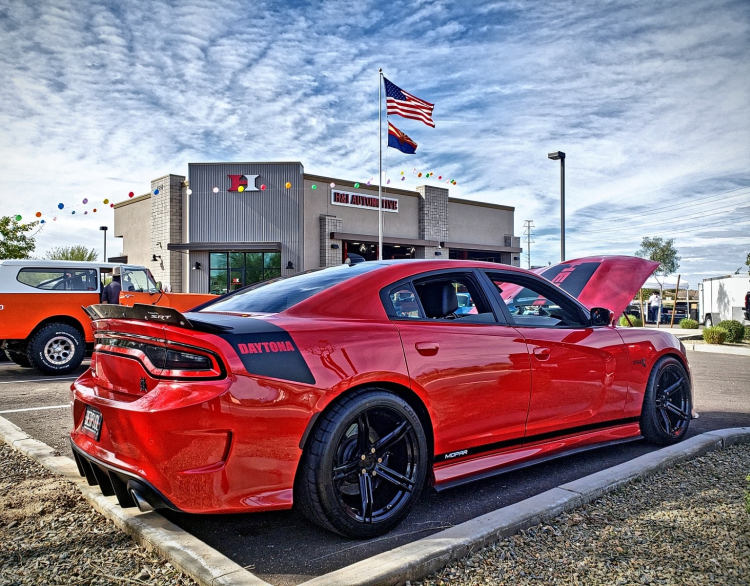 It was created to commemorate the 110th anniversary of the brand's founding. At $18.9 million, La Voiture Noire is also now the most expensive new car ever sold, Bugatti said, eclipsing the $13 million Rolls-Royce Boat Tail in 2017. "Bugatti arouses passion and emotions throughout the world," the company's president, Stephan Winkelmann, said in a statement. "Customers expect us to continually surprise them and to raise the goalposts beyond the limits of their imagination. We have just succeeded in doing so with 'La Voiture Noire.'" La Voiture Noire, French for "the black car," is an homage to a Type 57SC Atlantic of the same name designed in the late 1930s by Jean Bugatti, the son of the company's founder, Ettore Bugatti. 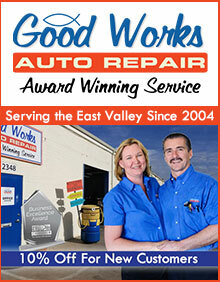 H&I Automotive is Celebrating 10 Years of Serving their East Valley Neighbors! 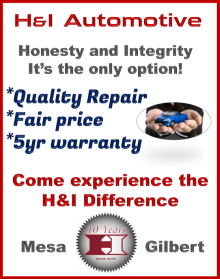 H&I Gilbert is also celebrating their 1st anniversary! 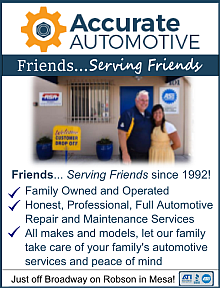 Join them for Cars 2 Show We Care! 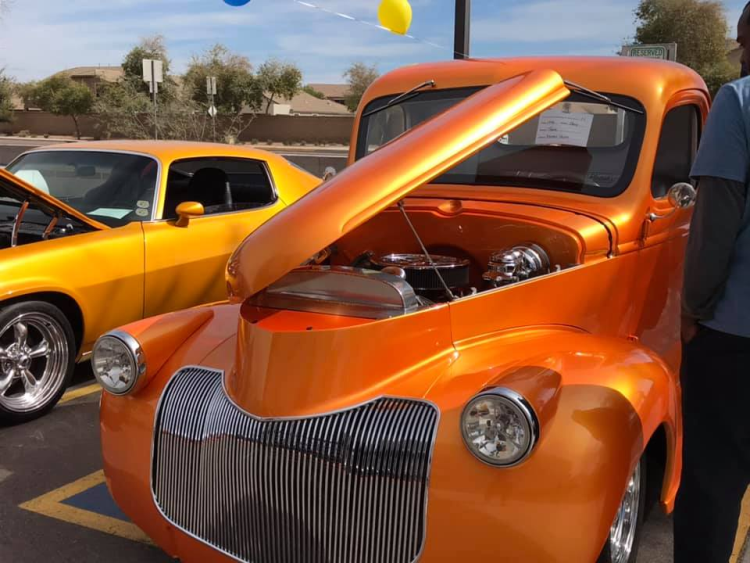 There will be vendors, a 50/50 raffle, prize raffles, demonstrations, bounce house for the kiddos, refreshments available for purchase - and of course the cars! All proceeds will go to support Military Assistance Mission. Don't miss out on this momentous occasion!